The place to start your Grievance data input. 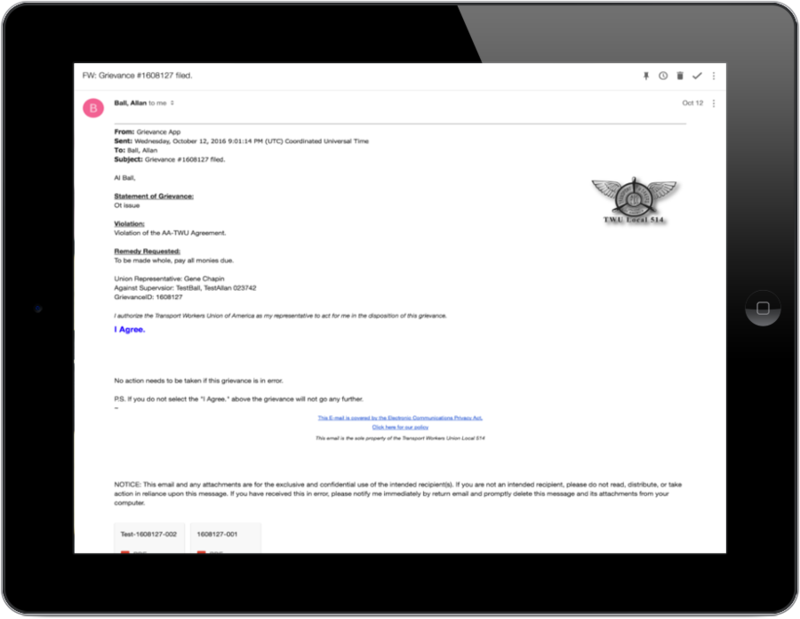 This is the Electronic version, It will email the immediate supervisor, before that happens the grievant must reply to the email generated from the submission of the grievance. Please remind the grievant to check their email and to click "I Agree" link to verify that they want to procede. 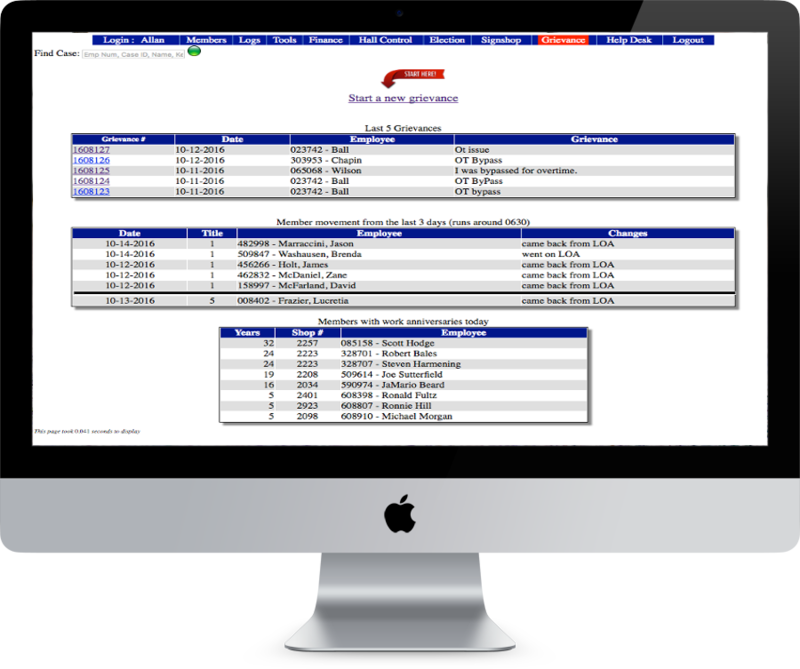 After your grievance has been filed you can view, Download and Print it and all attachments. 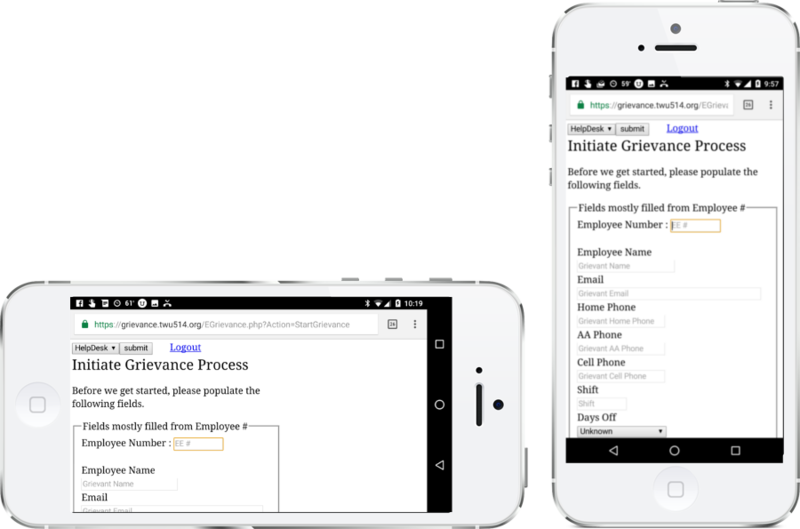 Using the E-Grievance application on your mobile device has been Number 1 on our list of improvements. We have started testing and you can link to it from HERE.